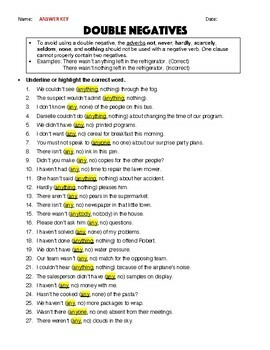 In this worksheet, students are provided the rule for avoiding double negatives as well as the adverbs not to be used with a negative verb. Examples are provided. 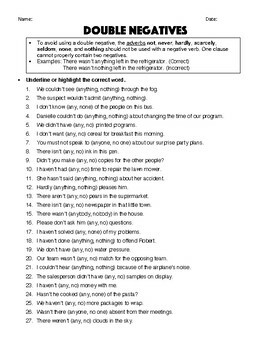 Students must then underline or highlight the correct word in 29 sentences in order to avoid a double negative.